Mercedes won't bring new X class pickup to Canada, but considers U.S. The X class Stylish Explorer concept previews Mercedes' first pickup. Mercedes-Benz Canada says its X class pickup isn’t planned for Canada despite the fact the automaker is considering it for the U.S. market. 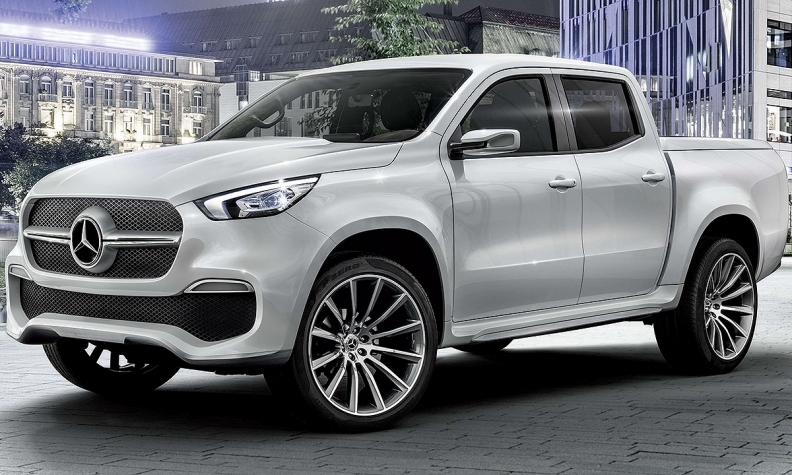 Mercedes-Benz Vans division is looking closely at a growing demand in the U.S. for midsize pickups to see whether there is potential to launch its X class in the market, divisional head Volker Mornhinweg said at a news conference in Stuttgart, Germany on Friday. Demand for smaller pickups is also on the rise in Canada, where sales of the Chevy Colorado, GMC Canyon, Honda Ridgeline and Toyota Tacoma all increased — most by double-digit percentages — in 2016 when compared to 2015. Mercedes-Benz Vans has developed its first pickup, a Nissan-based model to be sold in South America and Europe, but has so far shied away from launching it in the U.S. because customers there have traditionally preferred full-sized vehicles. However, a recent shift in the U.S. back towards midsized trucks was encouraging, Mornhinweg said. "In the past year the midsized truck market has come back a bit. General Motors is launching a midsized truck. We are watching developments very closely, and we will take a decision at the appropriate time," Mornhinweg said. Ford is also re-introducing the smaller Ranger to the North American market. The X class will share underpinnings with the Nissan NP300/Navara and Renault Alaskan. It will be built by Nissan in Spain starting this year and by Renault in Argentina in 2018. The pickup is the latest product in an industrial alliance between Daimler and Renault-Nissan. Asked where Mercedes might build the pick-ups for sale in the United States, Mornhinweg said that its current production capacity in Argentina was unlikely to be sufficient to serve the U.S. market. A new production site in the U.S. was likely to be considered, he said.